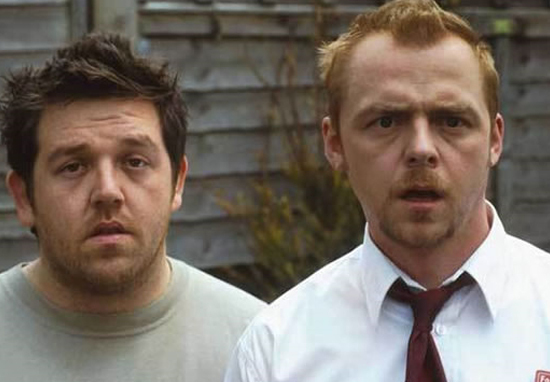 Simon Pegg and Nick Frost are working on an epic new horror-comedy TV show, it has been confirmed. The lads, of Shaun of the Dead fame, confirmed they’re working on the show to Variety. The filmmakers, best known for their ‘Cornetto Trilogy’ of Shaun of the Dead, Hot Fuzz and The World’s End, confirmed the new venture will be called Truth Seekers. The show will follow a three-person paranormal investigation team. Each episode will be thirty minutes long and they’ll all have their own individual paranormal incident they’ll focus on. Each episode is going to be an adventure, a potential haunting or something. It’ll start as a very parochial idea, a very small business venture for these people but it will expand as the series goes on to be something far more global. It’s a language everyone understands – the mystery of the unknown. Shaun of the Dead was a very parochial story set in North London and somehow it managed to get this global reach because everyone understand the language of zombie movies. There isn’t an air date for the show yet and it is still unclear what roles Pegg and Frost will take on in the project. Whatever happens, we know this will be class and we cannot wait to have the two British comedy legends back on our screens. Taking the idea of 'being woke' to a whole new level over a decade-long career in sport, court and online news, George has worked for titles and agencies including ESPN FC, Eurosport, LADbible and Court News UK. He may not have a degree but does have an unhealthy obsession with Lord of the Rings.